Mortgage rates have plunged to record lows, below 4%. That’s great — but only if you can actually qualify for a loan, and that’s not easy. After giving away the store during the housing boom — with disastrous results — lenders have tightened their underwriting standards, leaving many would-be home buyers out of luck. 1. Improve your credit score: A credit score below 620, as measured by the Minneapolis company FICO, will knock most potential buyers out of the running for a mortgage. And even if you can qualify for a loan, lenders reserve their best interest rates for borrowers with the highest credit scores — typically 740 and above. If a bad credit score pushes up your interest rate by even one percentage point, you could end up paying $85,000 more over the life of a $400,000 loan, according to Tracy Becker, president of North Shore Advisory, a Westchester credit repair company. To see where you stand, start by checking your credit report, which is available free at annualcreditreport.com, preferably at least six months before you’re ready to shop for a home. You can get a free report once every 12 months from each of the three credit reporting companies — Experian, TransUnion, and Equifax. Make sure there are no mistakes on the report — for example, if you see incorrect reports of outstanding balances or late payments, you should dispute them with the credit reporting company. Matthew Gratalo of Real Estate Mortgage Network in River Edge gave an example of a client named Smith; his credit reports were full of problems, including a foreclosure and a bankruptcy, that belonged to another Smith. These reports are the basis for the credit score created by FICO. The score, which ranges from 300 to 850, is used by lenders to determine whether you’re eligible for a loan, and at what interest rate. You can get a copy of the score for $15.95 at myfico.com. Your credit score can be badly damaged by even seemingly minor problems, like late payments on credit cards, or a $50 unpaid medical bill, or a cellphone bill that goes to a collection agency. If your credit profile is ugly, there are ways to beautify it, though it may take some time. One key step is to make sure to pay your bills on time. Set up e-mail or text reminders from the credit card company to let you know when a payment is due. Pay down your debt as much as you can. Don’t close unused credit cards, but don’t open new cards, either. “You may not be a great buyer today, but you have the ability to change that dramatically,” said Al Engel, executive vice president at Valley National Bancorp in Wayne, N.J.
2. Decide what type of loan is best for you: Fixed mortgages offer the security of knowing your rate will never rise; since rates are near or at record lows, there’s a pretty good argument to be made for locking them in now. On the other hand, an adjustable offers even lower rates and might work if you expect to move within a few years. A 30-year loan will keep monthly payments lower, but if you can swing it, a 15-year will have a lower interest rate and will save you tens of thousands of dollars over the life of the mortgage. For example, a $300,000 loan at 3.7% for 30 years adds up to $497,466. Choose a 15-year loan at 3% instead, and you’ll save more than $120,000. If you have less than 20% down, you have the choice of a Federal Housing Administration mortgage or a conventional mortgage with private mortgage insurance. 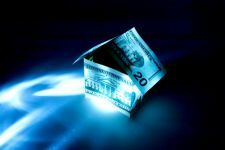 FHA loans allow down payments as low as 3.5% but carry an upfront fee of 1.5% of the mortgage amount, plus an annual fee of 1.15%, according to Keith Gumbinger of HSH.com, a Pompton Plains, N.J. company that tracks the mortgage market. Private mortgage insurance is cheaper, typically costing less than 1% a year and varies according to the borrower’s credit score and down payment. Another advantage of PMI is that it is canceled eventually — once the home owner has 20% equity in the property. But to get a conventional loan with PMI, you’ll probably need to have 10% down and a better credit score than the FHA requires, lenders say. 3. Shop around: Check with several lenders, not just the one recommended by your real estate agent. Compare interest rates and closing costs like fees for the application, appraisals, and so on. These costs generally run around 2% of the loan amount, according to Gumbinger. To check on the lender’s reputation, call the state Department of Banking and Insurance at 800-446-7467, though the department regulates only state-chartered, not federally chartered, banks. There are fewer “bad actors” in the market to watch out for, after the shakeout of the mortgage industry during the housing bust, Gumbinger said. Michael Moskowitz, president of Equity Now, a mortgage lender, encourages home buyers to ask mortgage companies for the names of previous customers and check on their experience. “You need to make sure you’re dealing with someone reputable,” he said. 4. Get a preapproval: Lenders will give prequalification letters — informal estimates of how much house you can afford. But you should go further and get a preapproval letter, which is a tentative commitment from a lender. To get one, you’ll have to show the lender documentation of your income, assets, and debts. Though a preapproval is not binding on either the lender or the home buyer, it’s a way of showing sellers and real estate agents that you’re a serious buyer. A preapproval letter and a copy of your credit score — assuming it’s 740 or above — can be a strong argument in your favor if you’re competing with another buyer for a home, Becker said. Sellers sometimes accept lower offers from more qualified buyers who are able to show they can actually close on the deal. 5. Be prepared to show lots of paperwork: Fannie Mae and Freddie Mac, the government entities that guarantee loans, are forcing lenders to demand much more documentation these days, including pay stubs, tax returns, and bank statements — “anything that can prove you are the borrower you claim you are,” Gumbinger said. And they will ask for fresh documents, like pay stubs, just before the closing, to make sure nothing has changed. “We’ve got to be able to touch, feel, and see the source of income to repay the loan,” Engel, of Valley National, said. Because of these tighter documentation standards, Gratalo recommends that you start saving pay stubs, bank statements, canceled rent checks, and other paperwork several months before you even start shopping for a house or a mortgage. 6. Consider locking it in: Many lenders will offer borrowers the chance to lock in their mortgage rate free for up to 45 days, and some will lock in for up to 60 days, either free or for a small fee. Gumbinger advises buyers to seriously consider locking in the rate, especially now, since there’s not much room for rates to fall. “The odds don’t favor significantly lower interest rates,” he said. He recommends a 60-day lock-in, which should be long enough for most closings. 7. Don’t mess it up at the last minute: Once you have your loan approval and make an offer on a home, don’t throw the whole deal into doubt by making moves that will change your credit profile. Don’t quit your job or take out a big car loan, for example. Don’t apply for a new credit card, even if the merchant offers you 10% off if you do. The lender will recheck your employment status and credit profile just before the closing. REALTOR® and lenders say closings are routinely delayed when a buyer decides to lease a new car or apply for a new credit card after being approved for a mortgage.